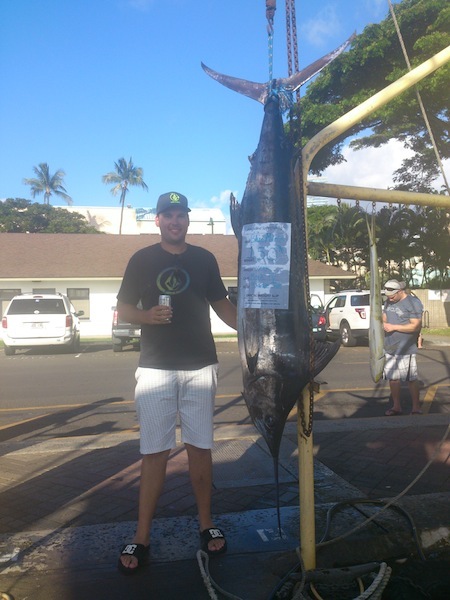 Todd with Short Billed Spearfish! 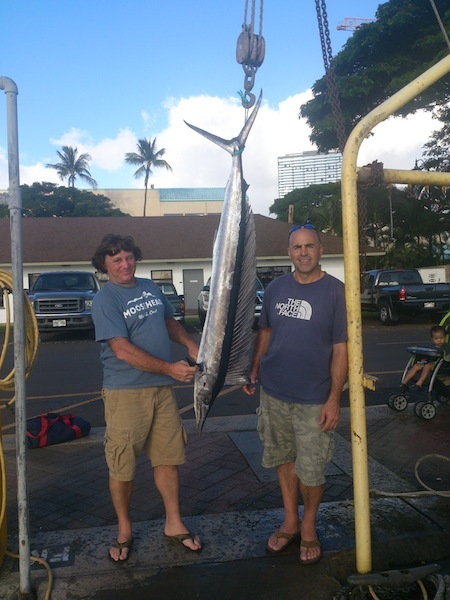 Great catch with Todd on Ruckus! Yum! Another great day on the Maggie Joe! 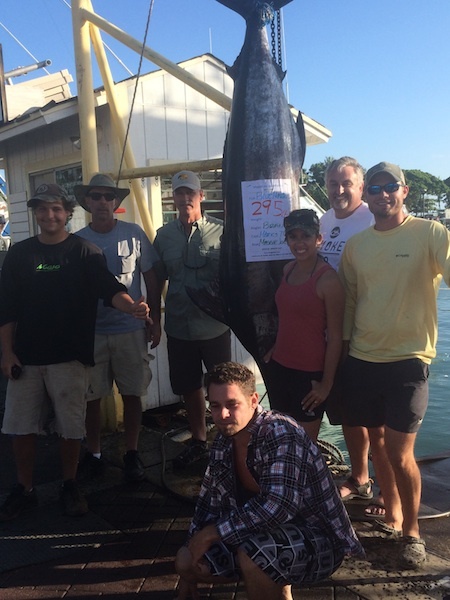 Jade hauled in this 510 lb Blue Marlin aboard the Sea Hawk. Congratulations! 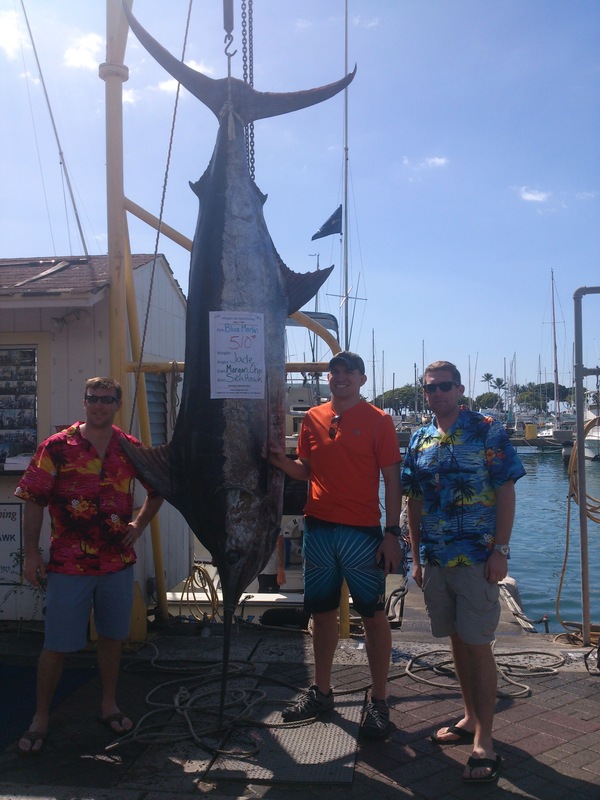 Darin caught this nice 334 lb Blue Marlin while deep sea fishing aboard the Maggie Joe with Captain Mark! Aloha! 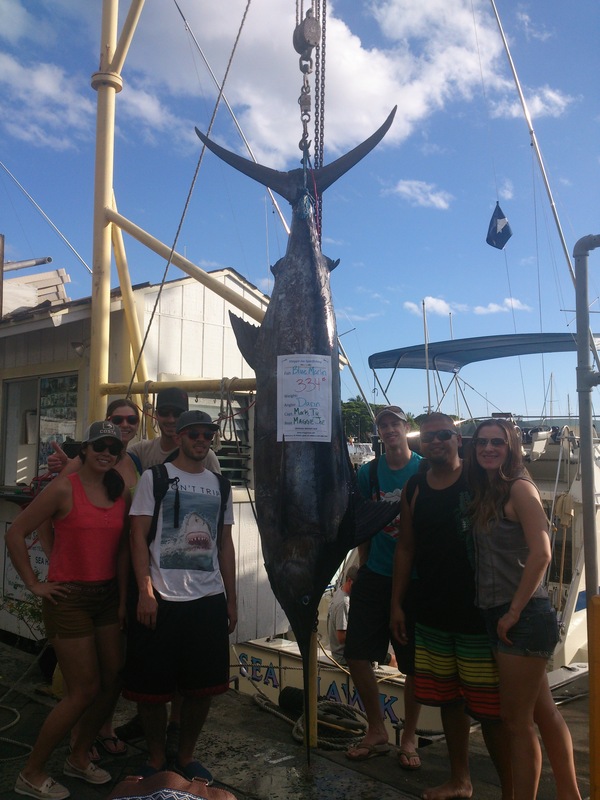 Plenty of fun on the Maggie Joe! 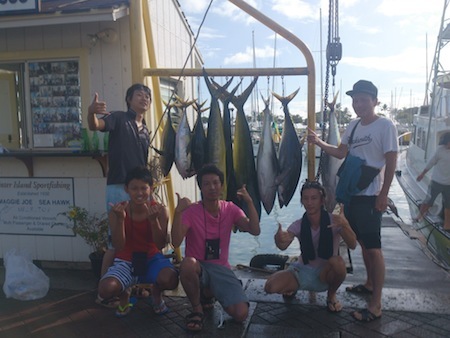 A boatful of Shibi’s and Mahi Mahi caught on the Maggie Joe! The Redkin’s and their catch! 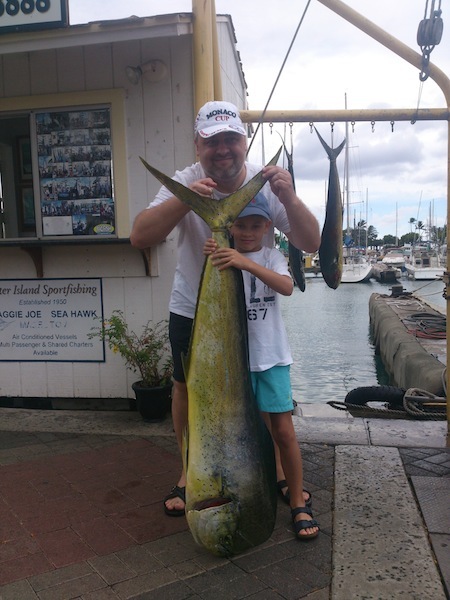 The Redkin father and son team hauled in this nice bull Mahi Mahi while deep sea fishing with the Sea Hawk. Great job!